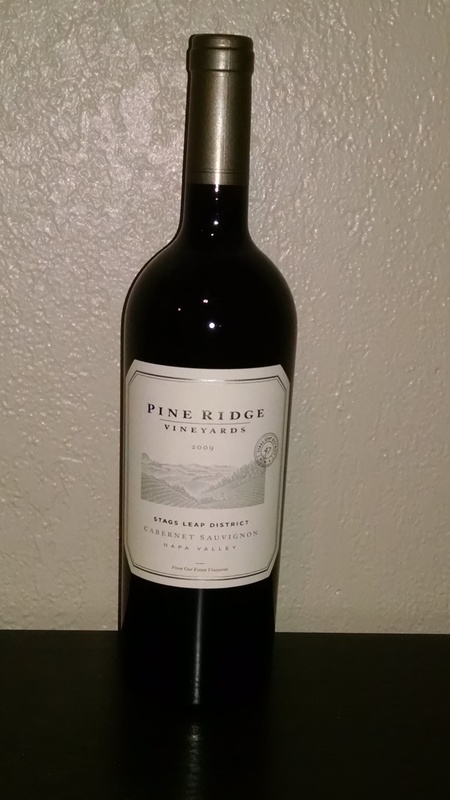 A great tasting (in my opinion) expensive bottle of wine. I like the musings on The Freakonomics Podcast. It is a well polished program, more like a traditional radio show than the barebones conversational format of other podcasts. One of their most popular episodes is “Do More Expensive Wines Taste Better?” I had to listen to this episode because 1)I’m a wine nut 2)the economics of wine are such that you don’t a lot of $$ to get a good bottle, and 3)this is a classic wine question. I found myself disagreeing with the conclusion they made. Which is ok. I don’t agree with anyone 100%, not even myself. While in college Levitt conducted the classic blind wine tasting on an unsuspecting group of wine-savvy colleagues. His colleagues usually purchased expensive wines for their dinner-meetings. When it was his turn to buy the wine, Levitt mixed in a few cheaper wines with the expensive ones, to see what the reactions would be. Everyone agreed that the cheap bottles of wine were delicious. When Levitt revealed the names of the wines, several of his wine enthusiast colleagues were pissed off. They also made up b.s. excuses as to why they couldn’t tell some of the wines were cheap plonk. One claimed that he had allergies and therefore didn’t have his normal sense of smell and taste. The issue I had is that Dubner and Levitt seem to come to the conclusion that the cost of the wine bears no relation to the quality of the wine. That’s where I say yes—and no. While not a law (like the second law of thermodynamics) or a rule, expensive wine tasting better is more of a higher probability event. Great tasting wine often costs more to produce and the producer has to pass that cost on to the consumer, so good or great wine, usually costs more. The problem is the wine world is weird. Taste and smell are subjective. Perception is everything. And all wine rules can be bent, broken, or completely disregarded. A wine producer can take an average bottle of wine, put it in a heavy bottle, add some luxury marketing, and charge $100 a bottle. For whatever reason the recipe works and the wine is a hit. The producer can make and sell a lot of it. Another wine producer can make a great bottle of wine from a less prestigious growing area, use economies of scale found in larger winery operations, maybe have a weak currency like the Argentinean Peso vs. the U.S. dollar, not charge much for the wine (maybe $20), and they can’t find any buyers. This is one way expensive wine can be considered a bad value and cheap wine can be very high quality. This is how it can seem that expensive wine is not better. My experience living and working in Napa Valley was that the best wines were almost always expensive, it just depended on how expensive. Napa Valley wines will always be expensive because the costs to produce the wine are so high. The land to grow the grapes, the labor, the water, everything is expensive. So the wines are generally expensive. And not all of them are worth the price. But, even in Napa Valley, all wine rules can be bent, broken, or completely disregarded. 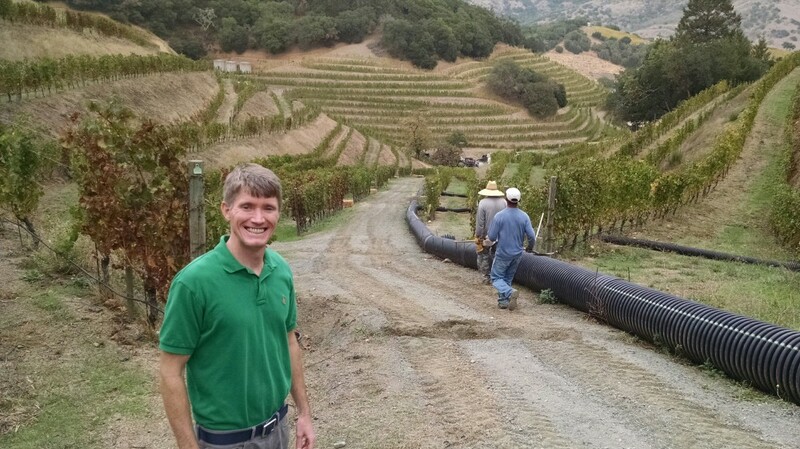 The winery I worked for was unique in that it owned top quality vineyards in most of the best growing areas in Napa Valley. Most wineries couldn’t afford to have so many high quality vineyards. I got to taste wines from these various vineyards. I thought it was my duty, as a good employee, to do my homework and “get to know” these wines. I put in extra effort and did as much tasting as I could. I constantly pestered the winemakers to let me taste the young wines. I tasted wines from Carneros, Howell Mountain, Oakville, Rutherford, and the Stags Leap District (all sub-growing regions in Napa Valley). I tasted the grapes as they’d come into the winery fresh from the vineyard. I’d taste the wines while they were fermenting. I’d tasted them in the barrel, and finally as the finished product in the bottle. This is what winemakers do. They constantly taste and evaluate the wines. The higher quality wines get higher quality treatment. That means that the best juice will spend more time aging in small oak barrels. The best juice may also spend time in new barrels (as opposed to 1 or 2 years old barrels), and the best juice will get the best barrels. The best barrels come from France and cost $1200 a barrel, compared to $600-$800 for an average barrel of American oak. Tasting a variety of wines in barrel is a great learning experience. Most barrels look the same. The differences in the wines are limited to the smell and taste of the wine. There are no fancy labels, shiny bottles, or price tags to distract your judgment. You end up judging the wine with less bias. Tasting through barrels, it was clear that some juice was of much higher quality than others. Often times the best juice would come from our vineyards that were on rocky and sometimes steep hillsides. These harder to access vineyards, were more labor intensive and had to be farmed by hand. They were often inaccessible to tractors. They cost more to farm than vineyards that laid flat on the valley floor. The steep rocky vineyards produced fewer grapes per acre. The grapes they did produce were more intensely flavored. Less quantity, more quality and higher cost. It was worth the effort. The wines were significantly better than the same wine grown a few hundred feet away on the flat land. The best juice gets the best treatment. These higher production costs make the retail cost of the wine more expensive. I saw this scenario play out over multiple vintages. The best wines came from the best sites. They got the best treatment. And the result was a high cost. All that said. It sorta doesn’t matter. There is a world of wine. You can still find nice bottles of wine for cheap. The problem is that the really good wines, from the best growing sites, usually taste better and cost more. This makes my wallet unhappy. Expensive wines often taste better. Expensive wines can taste better. Expensive wines should taste better (but remember the nature of wine rules). Enough of this writing stuff. I’m off to test this theory myself. Good wine is awesome, whether it’s cheap or expensive.